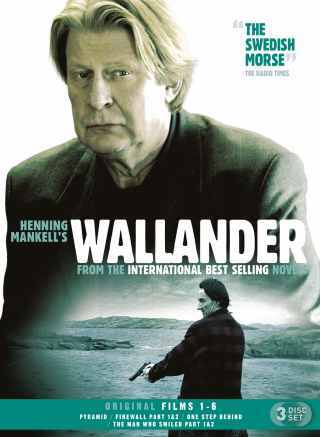 Six original Wallander films, starring Rolf Lassgård, together for the first time on DVD. In some of the first WALLANDER episodes ever to be produced, this unique collection joins the original Kurt Wallander, played by Rolf Lassgård, as he sets out to solve 4 mysterious cases across 6 action-packed episodes. Based on the best-selling books by Swedish crime writer Henning Mankell, detective Kurt Wallander is an intense and headstrong maverick, prone to eating poorly, sleeping irregularly and drinking too much. The ORIGINAL FILMS 1-6 Box Set begins with a violent and deadly showdown in "Pyramid", followed by the 2-part thriller "Firewall", the baffling "One Step Behind" and the unpredictable 2-part finale "The Man Who Smiled".